This simple bold line drawing is a stylized image of a hornbill species. The bird is encircled in an orange outline. 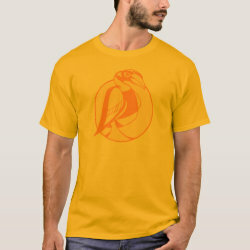 This stylish design is great for anyone that is fascinated by these unique-looking birds.